For most designers, a grandparent's home isn't exactly inspirational — think dated furnishings and questionable smells. 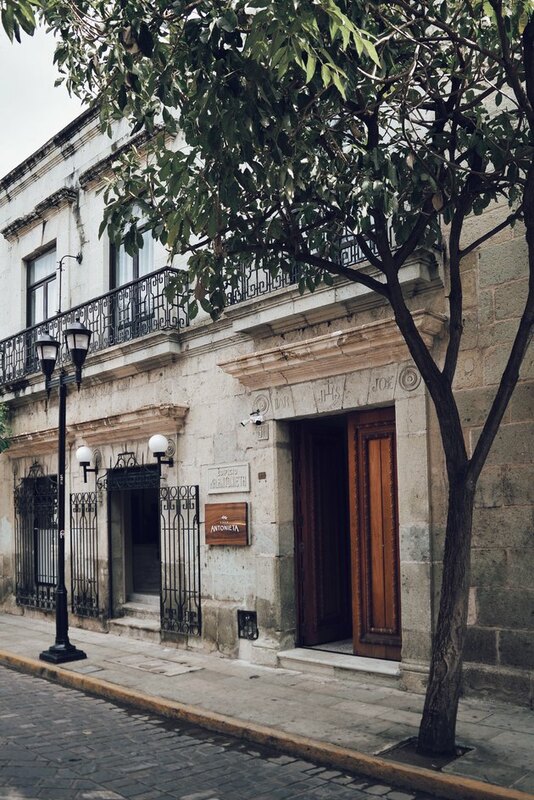 But that wasn't the case for Helwig George, owner of Casa Antonieta, a six-room hotel in Oaxaca, Mexico. "This was my grandmother's house," George proudly states. But wait, there's more: Before his grandparents moved in during the 1970s, the property served as a monk's convent that partially survived an earthquake. When George's mother and uncle inherited the building, it had been abandoned for 10 years after a rapid succession of offices, a shoe store, a bank, and a jewelry store were "not really giving it a personality and not speaking to the heritage and value of the building," says George. 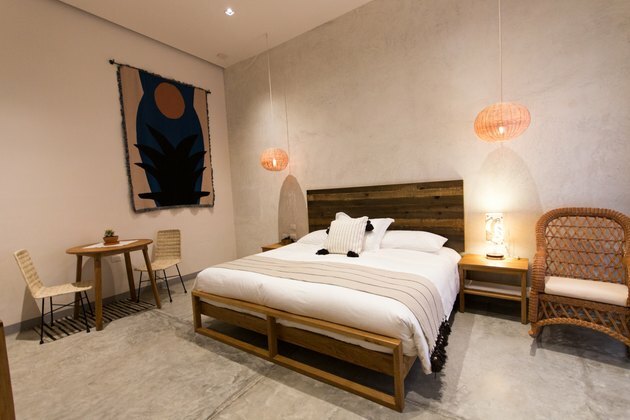 The creation of a cultural center next door gave George an idea: why not create a boutique hotel? But the renovation came with obstacles. "We couldn't touch many of the materials in the building," he says, noting that the property's historic status limited what they could do. "We could not touch the facade at all," he explains. 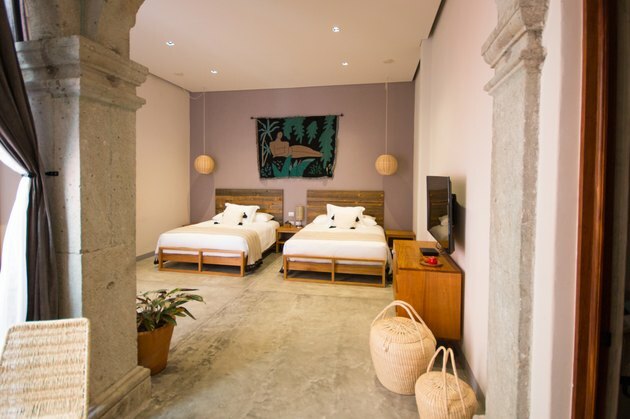 But in the end, George was able to create a destination that preserves the original feeling of his grandmother's house, with a homey quality that brings in local culture. 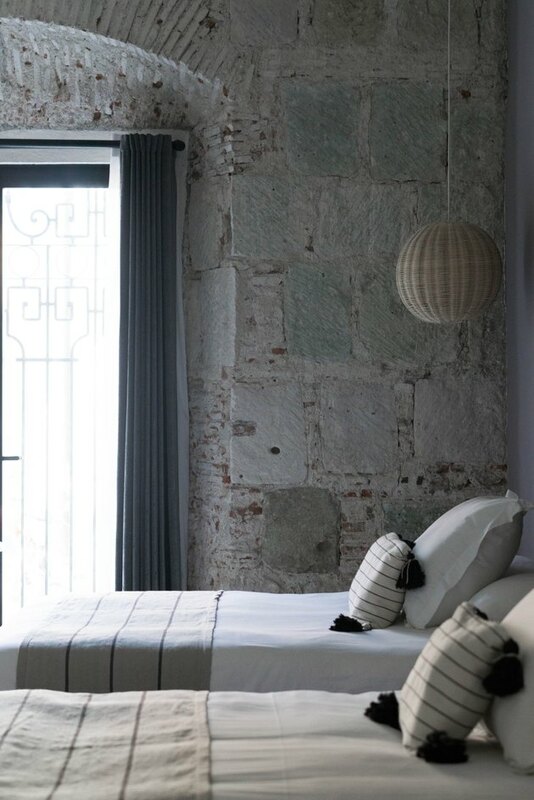 A limited budget meant working with the existing structure (cue those gorgeous stone walls) and adding only inexpensive materials, such as wood. George hired a local carpenter to create custom furniture and also used furniture left behind. "Each [room has] a different touch to it," says George. Baskets on the floor as well as potted plants in this particular room make it feel like a personal residence. Many decorative items were purchased at La Lagunilla in Mexico City, a traditional public market open on Sundays. When he found Lillian Martinez's Instagram feed, George immediately bought five textiles to hang on the walls, including this one. Area rugs in many of the rooms were created by Emma Gavaldon v.L. Boomkamp and José Mendoza. 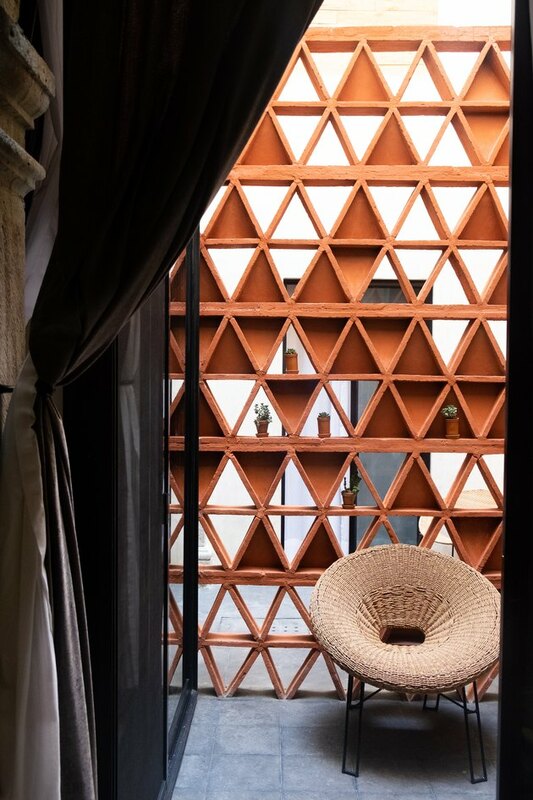 Nearly every piece of furniture is crafted from natural materials, like bamboo, hardwood, or wicker, which allows light to bounce around the room with ease. 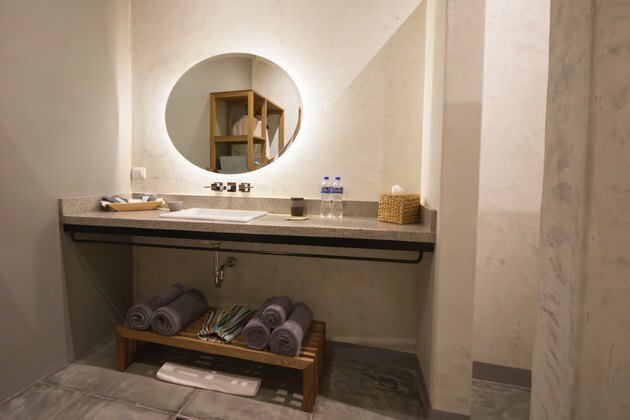 A round mirror, wicker tissue box, and bamboo bench for towels were all intentional choices to keep the vibe "simple," says George. 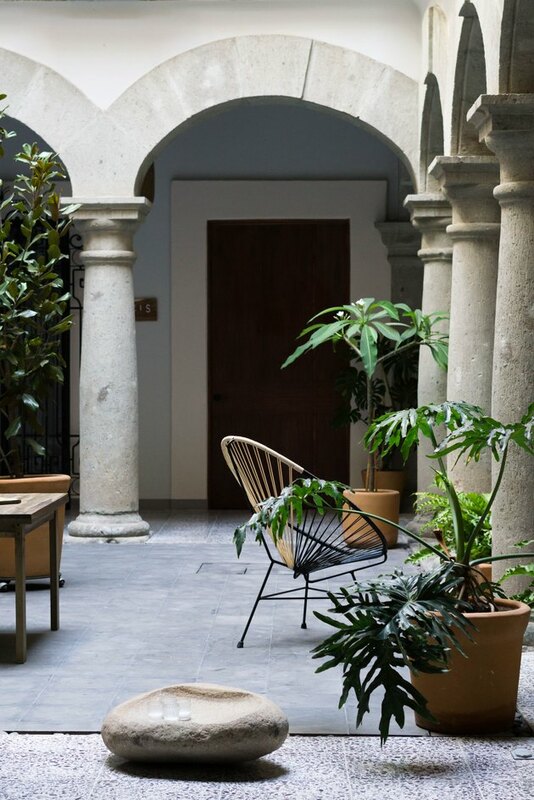 Columns, tall potted plants, wood tables, and Acapulco chairs in the courtyard are inviting accents. 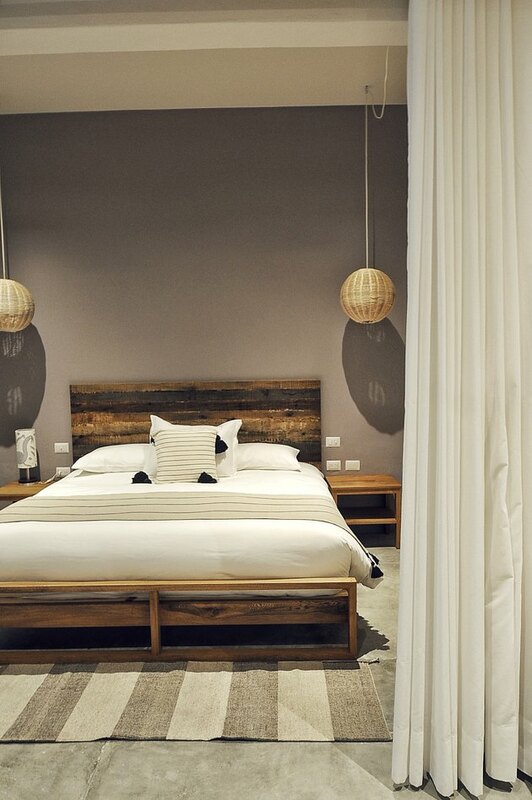 When selecting pieces for the hotel, George focused on lighter-colored materials as well as negative space. 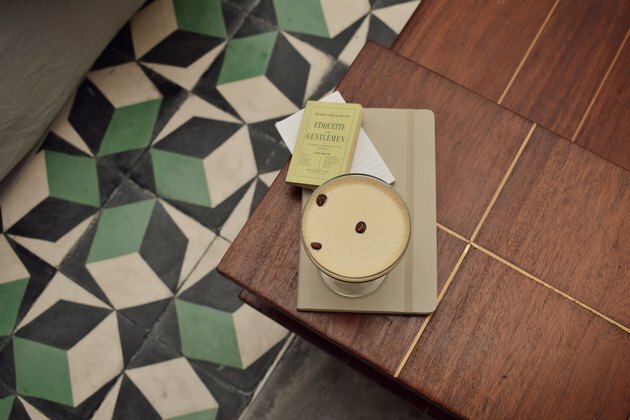 Investing in fun flooring and keeping the rest of the space neutral has turned the hotel's cafe into a popular gathering spot for locals.